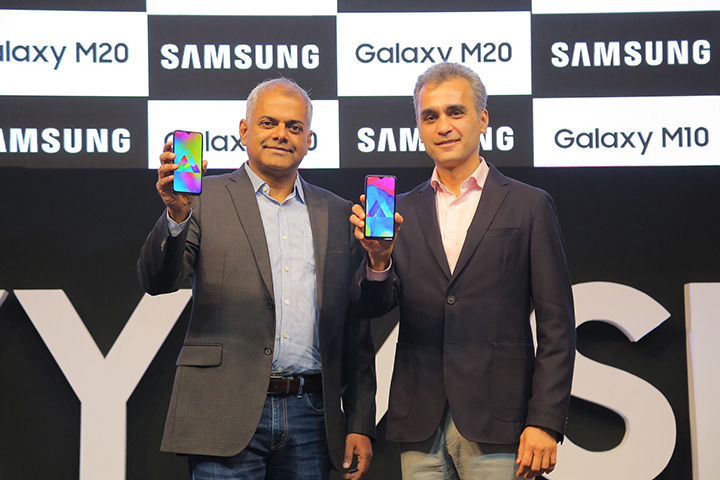 Samsung on Tuesday released its two industry-first Galaxy ‘M’ smartphones — “M10” and “M20” — for sale on Amazon India that claimed to have witnessed an “unprecedented” first day sale record. However, the company did not mention how many units were sold and for how long the online sale lasted before Amazon India put out the ‘sold out’ sign for the M-series smartphones. While Galaxy “M20” houses a 5,000mAh battery, “M10” hosts a 3,400mAh battery. The 2GB and 16GB version of “M10” is priced at Rs 7,990 and 3GB and 32GB version costs Rs 8,990, whereas the 3GB and 32GB variant of “M10” costs Rs 10,990 along with the 4GB and 64GB variant costing Rs 12,990.